The USA-made Albion 16 Series has been recently upgraded to now feature a ¾” thick kingpin on all standard swivel models*, and the additional life expectancy is a big deal! With the upgraded kingpin size, the 16 Series swivel rigs now last over 40% longer than previous 5/8” kingpin versions and the leading imports we stacked them up against. This translates into a longer lasting part for your customer or product – as well as peace of mind for those more demanding applications. 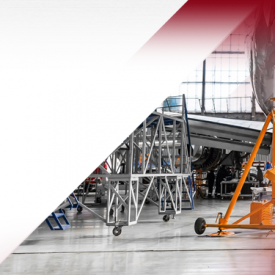 USA-made was an important purchasing driver to over 50% of OEMs we recently surveyed, and this series can help open up new doors for your salespeople by adding that extra value and differentiation in your selling. The reliability of a longer lasting part, domestic lead time, and 3-year warranty allows the 16 Series to be your go-to solution for industrial 2” wide needs. 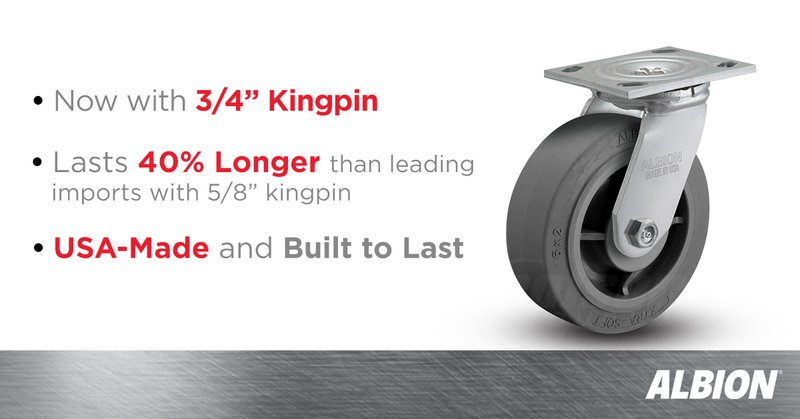 *The 3/4″ kingpin upgrade has been implemented on the production of all standard USA-made swivel rigs, and does not currently apply to 16 Series rigs with optional top plates or weld-on options added. We are in the process of standardizing the 3/4″ kingpin across these exceptions.